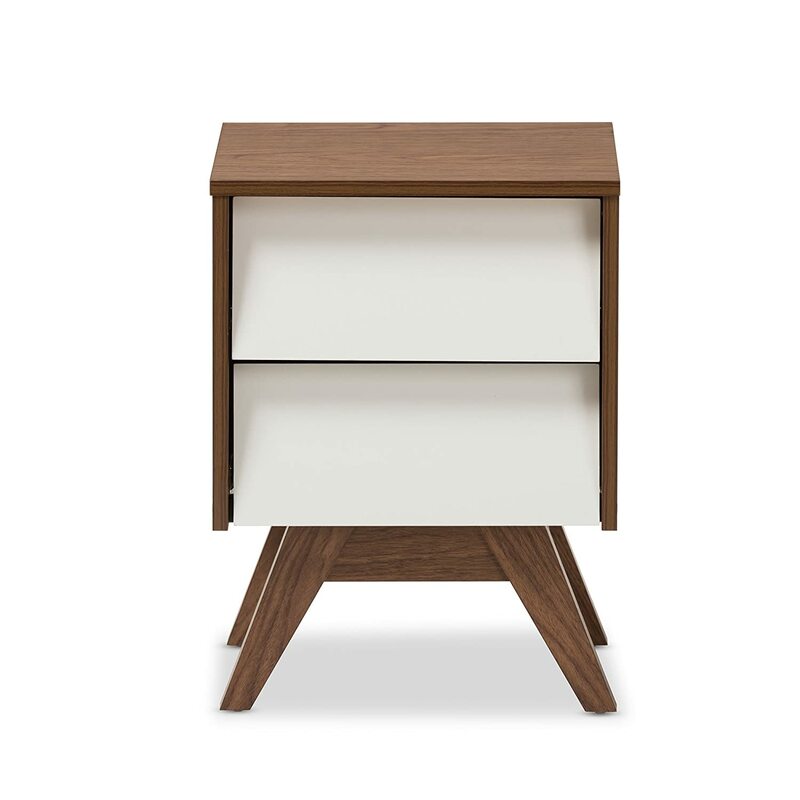 Featuring two-tone finishing in walnut and white, the herve is a mid-century modern collection that will attract all of the attentions. 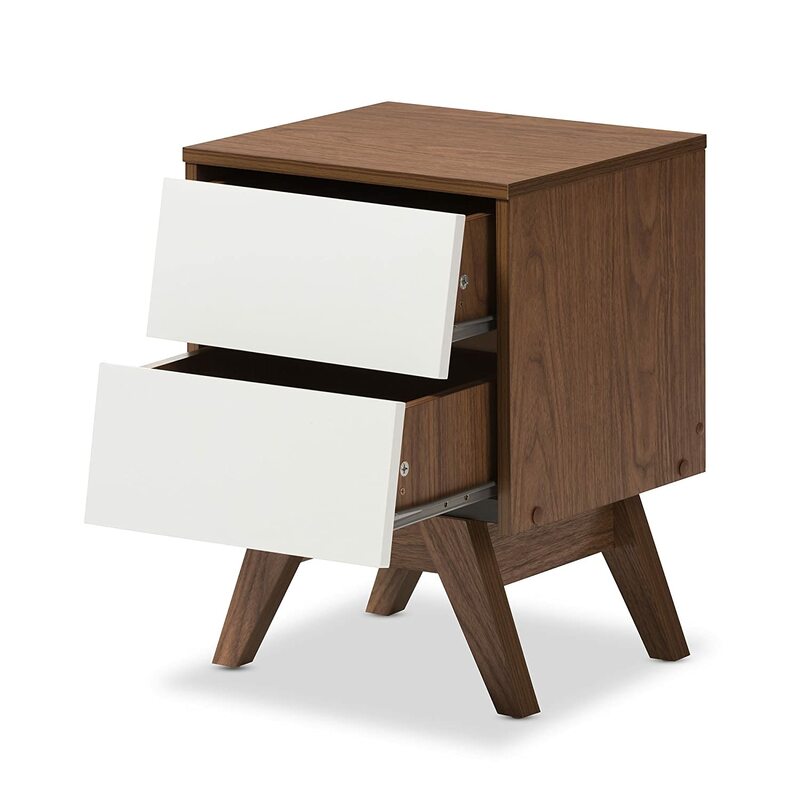 The slanted design of the drawers gives it extra character and individual style while the Splayed legs showcasing the retro modern look of the collection. 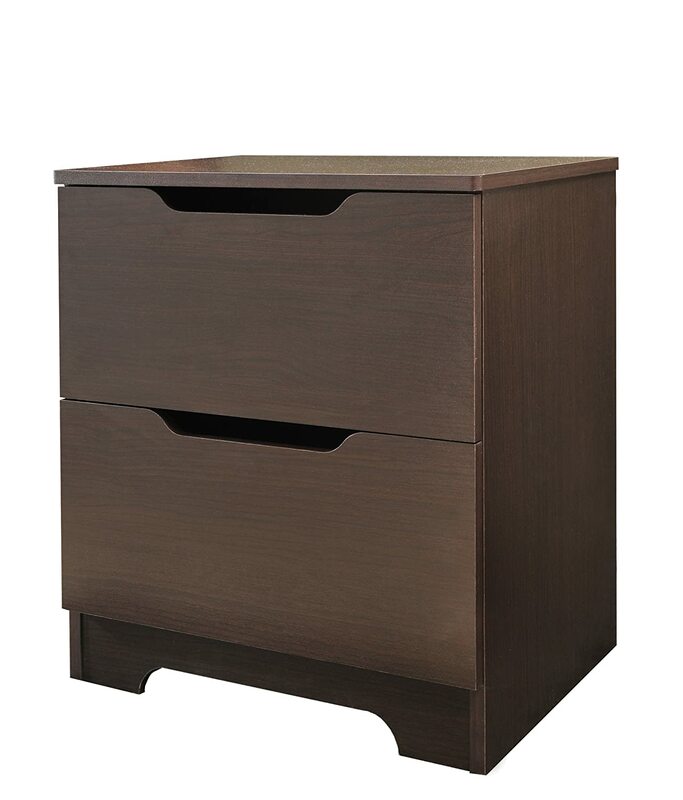 Constructed of engineered wood, the herve 2-Drawer Storage Nightstand provides you with extra storage space for your bed side essentials. 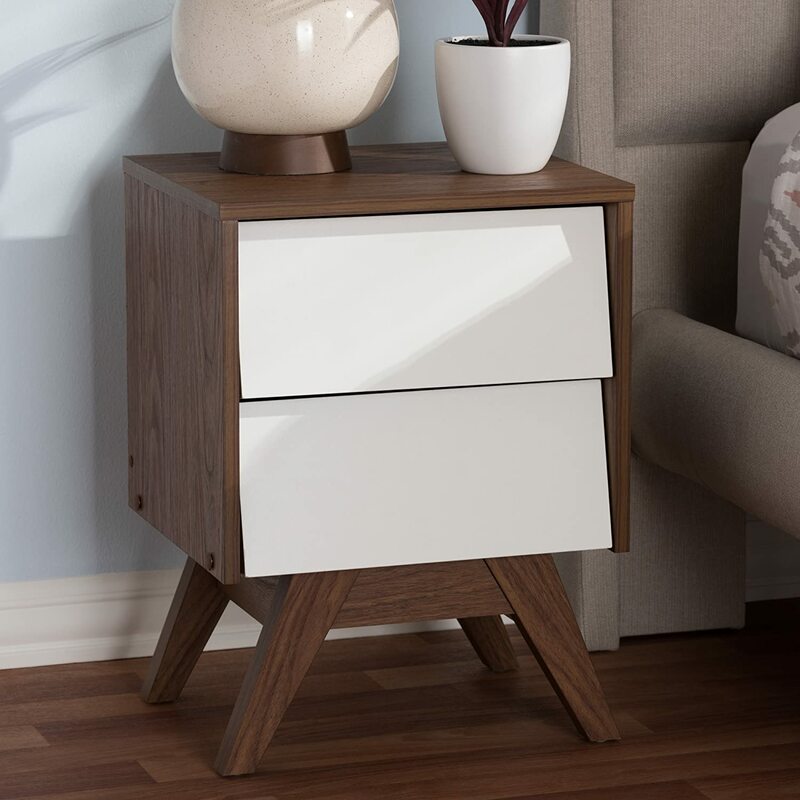 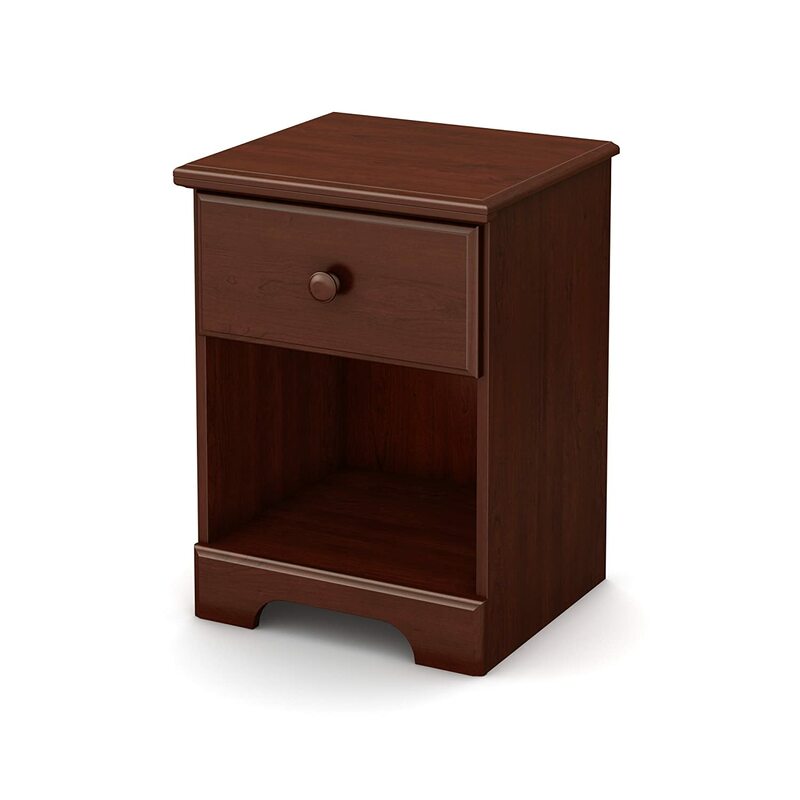 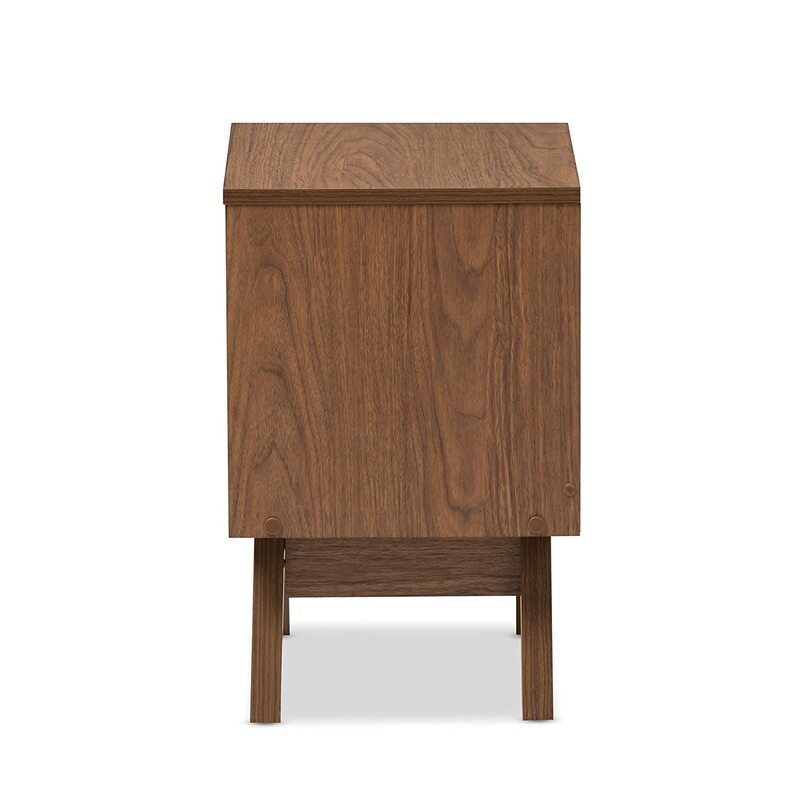 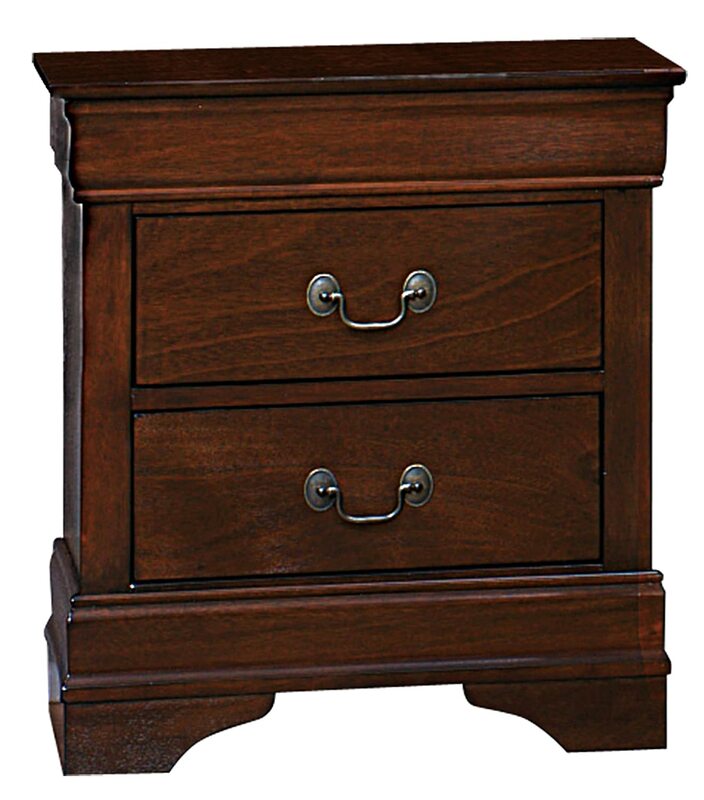 Set on four walnut finished legs which elevate the drawers from the floor, this storage nightstand of slanted drawers are a great addition to any bedroom. 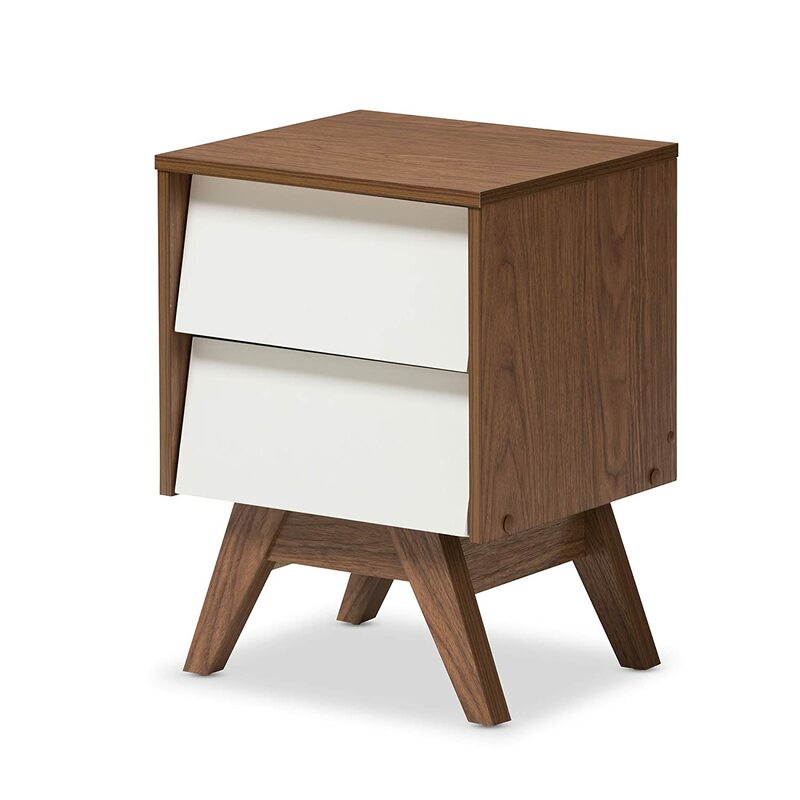 The herve sets a tone for any room which is what Mid century style is all about. 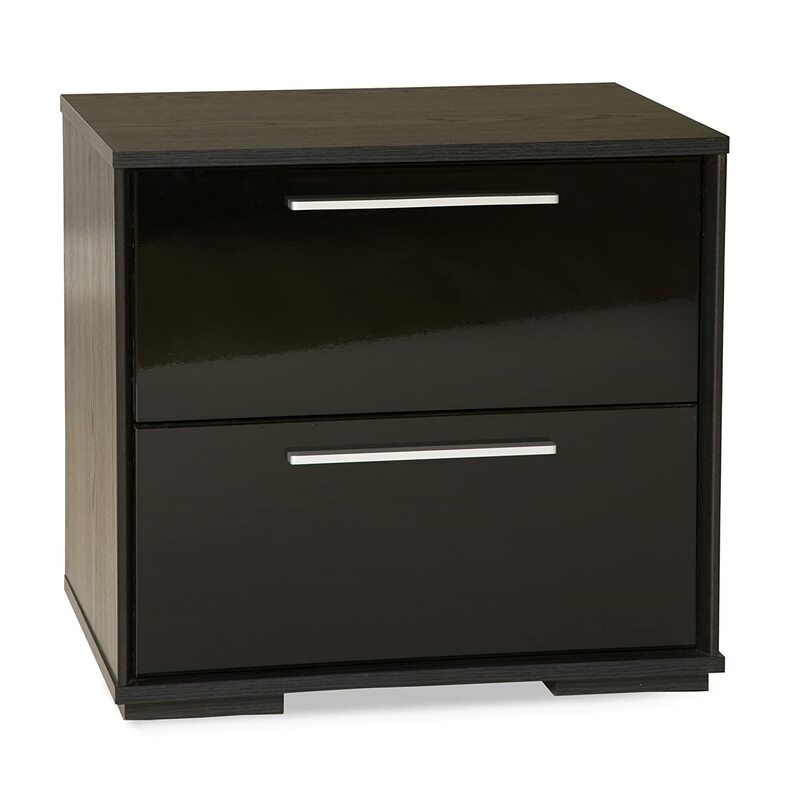 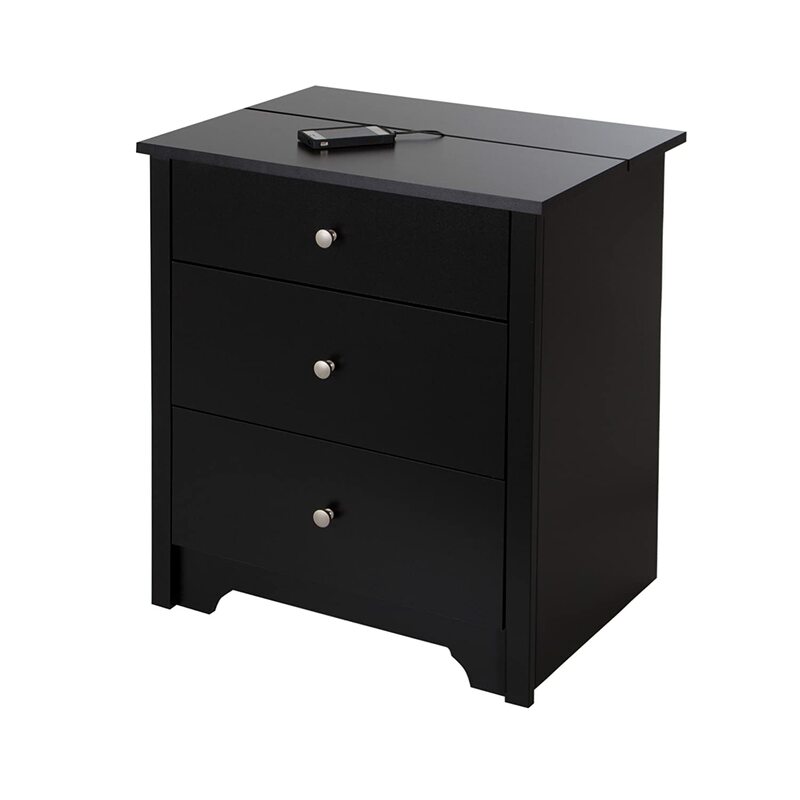 Made in Malaysia, the herve 2-Drawer Storage Nightstand requires assembly. 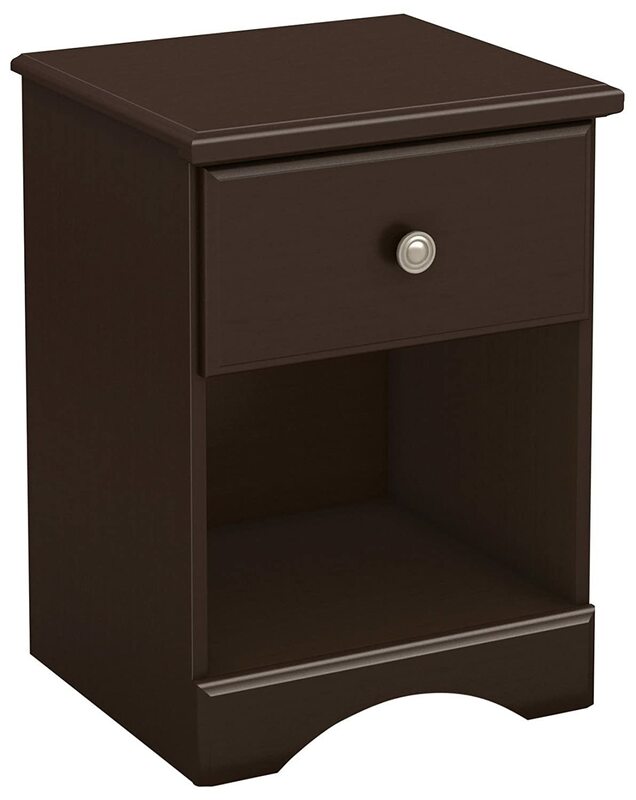 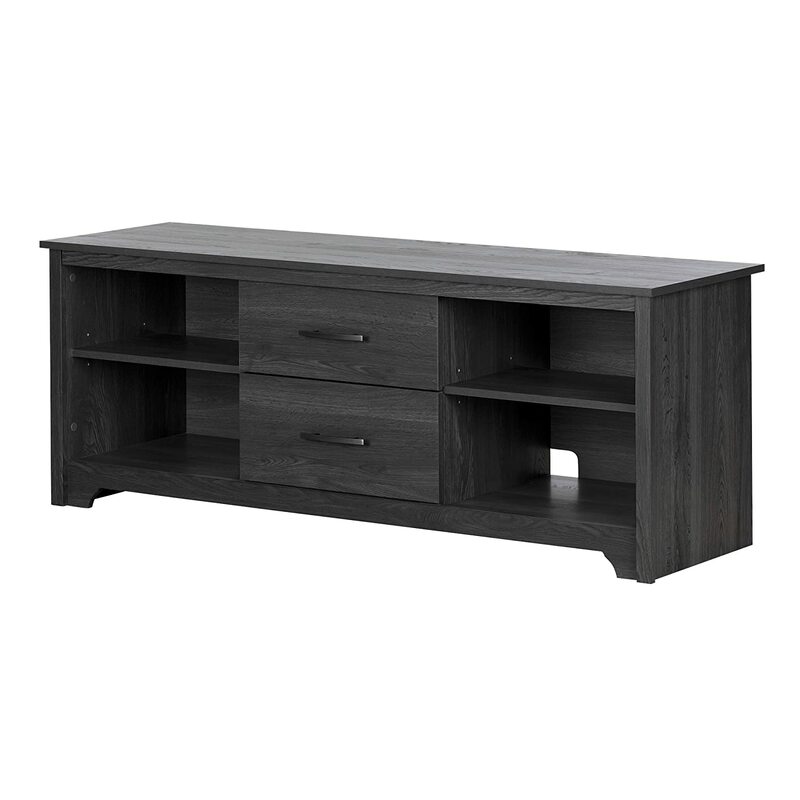 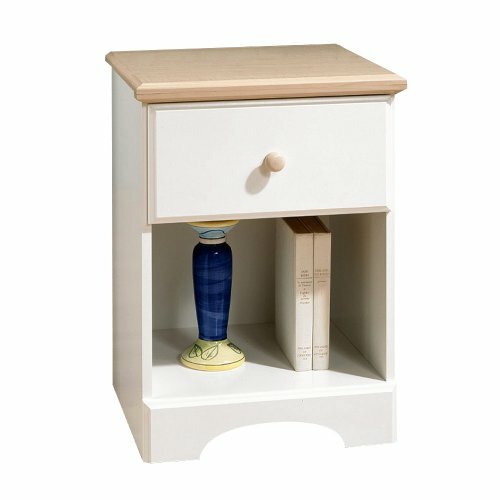 Dimensions: 21.5-Inch high x 15.75-Inch wide x 13.78-Inch deep; drawers: 3.74-Inch high x 12.24-Inch wide x 9.64-Inch deep; legs: 7.67-Inch high.